Ship-to-ship transfers of LNG from Russia's Yamal project have ramped up. The waters off Honningsvåg and Hammerfest, two towns located along the coast of the Barents Sea, are busy as ship-to-ship reloading of LNG from Russia’s Yamal project ramps up. On Wednesday, six tankers were engaged in such in the Sarnes Fjord by Honningsvåg — the biggest operation of its kind conducted in the area since local ship-to-ship operations started in late November 2018. Ice-class carriers Vladimir Rusanov, Christophe de Margerie and Georgy Brusilov were each delivering natural gas from Russia’s Yamal Peninsula. They were reloading to the tankers Flex Endeavor, Patris and BW Tulip, according to information from ship tracking service MarineTraffic. The reloading activities are part of a deal between Russian natural gas company Novatek and Tschudi Group, a Norwegian logistics company. Ice-class tankers shuttle to Honningsvåg where they reload to conventional tankers that subsequently deliver the shiploads in Rotterdam and other port terminals. The six tankers in Honningsvåg were not alone. In the nearby waters in the Barents Sea another four tankers waited for their turn to reload. In addition, an 11th vessel was about to leave Norwegian waters on its way back to Sabetta, the Russian terminal in Yamal. The volumes of liquified natural gas now reloaded in Honningsvåg are significant. The agreement between Novatek and Tschudi includes 158 ship-to-ship operations by June this year. That means a total of 316 tankers and several million tons of LNG. The Yamal LNG project in late 2018 launched its third production train and consequently reached an annual production capacity of 16.5 million tons, much of which will be reloaded in Honningsvåg. 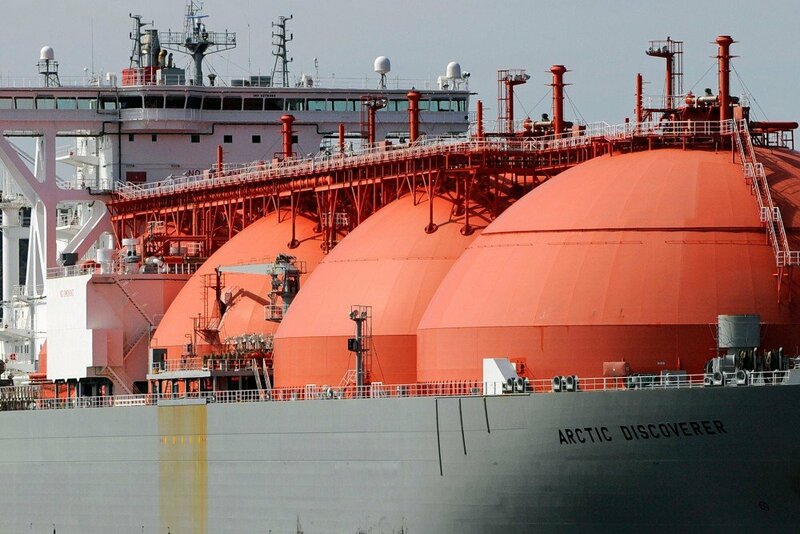 The volumes now sent to Sarnes Fjord by far exceed the production at Equinor’s Melkøya plant in Hammerfest, where three carriers — the Arctic Lady, Arctic Voyager and Stena Blue Sky — were also loading LNG on Wednesday. Those ships were heading to terminals in France, Poland and the Netherlands. Production at Melkøya in 2018 amounted to about 4.5 million tons.